With a full range of interior design services, decades of collective experience, and competitive pricing, we offer a solution for nearly every renovation and building project. 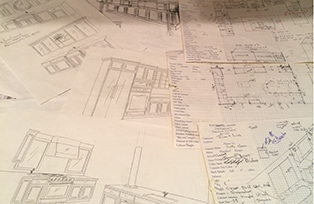 Our beautiful designs come to life thanks in part to Wood-Mode fine custom cabinetry. To gain some design inspiration, and learn more about the brand, browse their gallery of projects and images. At Kitchens by Frank, we strive for perfection with our customized designs, exceptional installation team, and attention to detail. We have been in business since 1975, and have built our company around professional experience and providing the best products on the market. Our team offers competitively priced design services for nearly every budget and project size, and you will work directly with the owner, Frank, for the entirety of your experience. 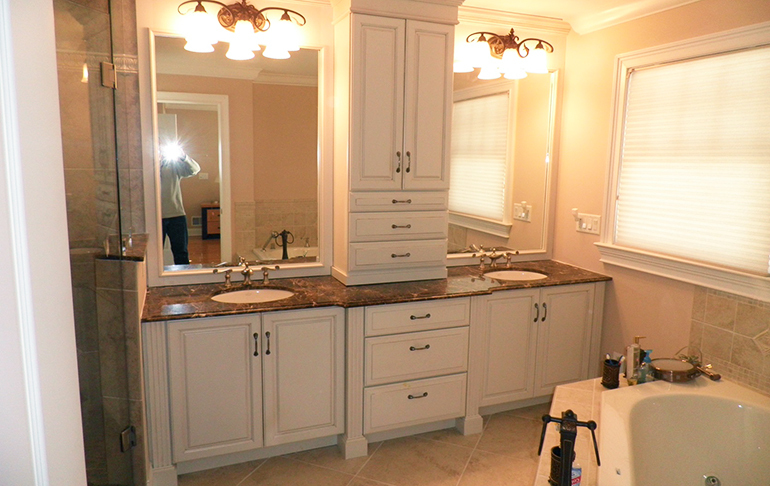 The reputation Frank has built in 40 years of design and installation services has led to a satisfied clientele of repeat and referral customers. 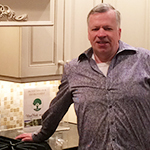 Frank is the original owner of Kitchens by Frank, and is a hands-on expert in kitchen design. He also serves as our lead project manager. With 40 years of experience, Frank is an amazing resource and has great respect for the products, design process, and customers he works with every day. Since 1975, we have worked with clients big and small. No matter the size or scope of the project, we are proud to offer the best design and installation services in the area. This not only leads to beautiful kitchens and bathrooms, but it makes for happy homeowners and repeat customers. Here are some of their stories. Just a quick note to say thank you for doing such a beautiful job in transforming our kitchen into a kitchen of our dreams. It was a pleasure to have your contractors in our home. They were very professional, courteous, and true craftsmen. Our new kitchen has far surpassed our wildest expectations. Once again, thank you for making our little kitchen become a reality — most of all for making the process most painless. We have been enjoying sitting there, preparing foods and entertaining. I am sure your ears have been ringing because of all the compliments. Once again, thank you and be well. It truly has been a pleasure having you come into my house (at 7:00am) every morning and reconstruct my kitchen into a gorgeous “Masterpiece.” You truly have amazing talent when it comes to building the “BEST KITCHEN.” You have made us very happy as we enjoy our new kitchen, and will be forever grateful to you for making our kitchen dreams come true. You have given us our “DREAM KITCHEN” and we thank you from the bottom of our hearts. You will be missed by us and our pups. P.S. – Thanks for all the little extras that you helped us out with. We are so happy with the work you’ve done in our house. The craftsmanship is outstanding. We receive compliments time after time. What a comfortable feeling it was to have professionals install everything. The idea for the bathroom cabinet worked great. Thank you very much. My husband and I would like to let you know how happy and pleased we were with our new kitchen. It truly is my dream kitchen! It belongs on the HGTV channel where they show kitchen makeovers. Also, we would like to commend your staff of workers – especially Tom, who is an excellent craftsman. In closing, we just want to thank you for designing a beautiful kitchen for us, and also for your professionalism and friendliness extended to us. God bless you all. We offer a full range of interior and cabinetry design services, but our passion and focus remains the kitchen and bathroom. 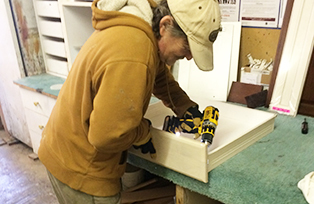 From cabinets to countertops, there is no project too big or small for our team. We pride ourselves on our collective experience, vast product selection, competitive prices and customer service. All of these are important aspects of the design experience, and start with your first visit to the showroom. Usually Frank will schedule an appointment to measure your existing space or go over any blueprints/plans, if they are available. 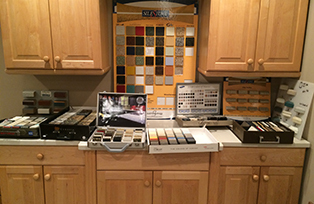 Then you and Frank will choose from an array of door styles/stains or color possibilities that best suit your needs. After that, Frank will provide a quotation outlining all of the options discussed and formally outline your final selections. Typically Frank will coordinate delivery and installation with either you or a builder/contractor, depending on the project. Everyone knows how difficult timing can be when trying to coordinate a project, and Frank does an outstanding job accommodating everyone in this area to provide smooth transitions. Frank works closely with everyone involved in the project from beginning to end. Frank has an eye for symmetry and he will design you the space of your dreams. From small to large projects, he will create the space that best suits your needs. Every type imaginable: granite, marble, Corian, Silestone, Cambria, Caesarstone, Quartz Master, HanStone Quartz, Zodiaq, Meganite, Staron, laminates, soapstone, and wood tops. 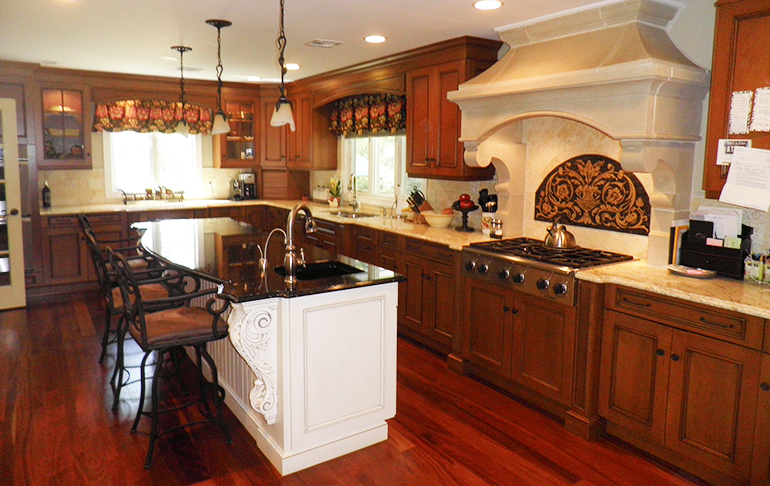 We ensure your preferred countertop becomes a centerpiece for your home’s new space. Frank stands behind his work and keeps a close relationship with all his clientele. If anyone needs additional service, from adjustments to replacements and all the way down to adding cabinetry later on, Frank will be there. 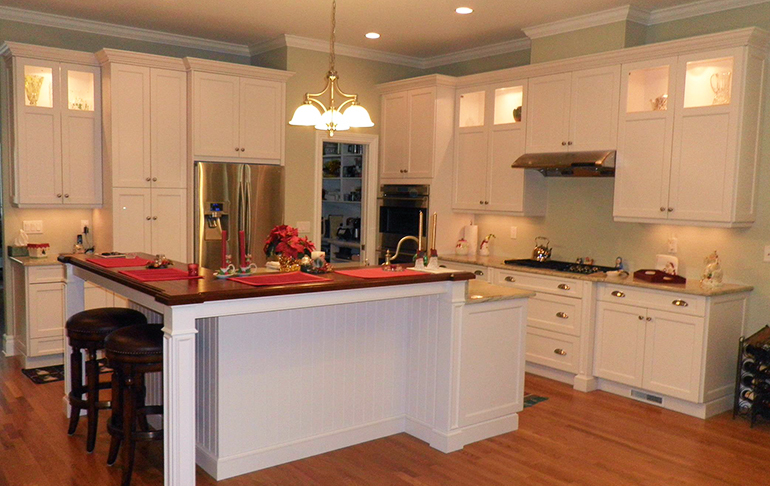 Wood-Mode takes pride in the color match process and has impeccable results that will stun you. 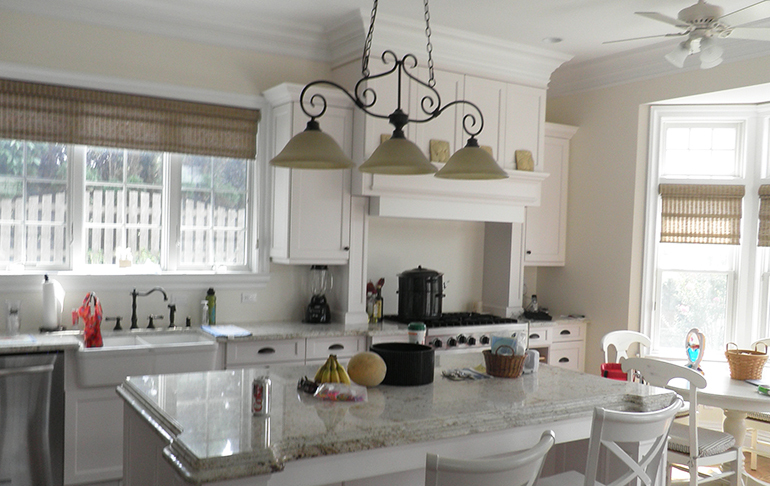 At Kitchens by Frank, we focus on providing design solutions that work for you. Thanks to a wonderful line of products that include everything from full-custom cabinetry to countertops, we can create modern and contemporary bathrooms, transitional open-concept spaces, and classic kitchens. Whatever your style, Kitchens by Frank has the ability to make it uniquely yours with over 40 years of history and experience. Behind the beautiful and durable exterior of every Schrock cabinet, there is a world of smart solutions designed to make life easier. Founded in 1961, Schrock specializes in classically beautiful and handcrafted cabinetry that is sure to stand the test of time. From the heart of Amish country to your home, Schrock offers an endless array of options to add warmth, organization, and individuality to your space. 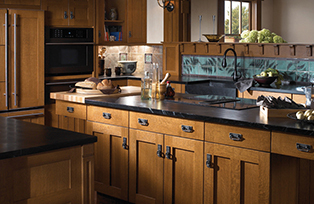 Aristokraft has the style, selection, and value to bring your vision to life. With speedy delivery and industry-leading service, Aristokraft keeps your new construction or remodeling project on time, and makes the process of creating your dream space simple and enjoyable. Craft-Art manufactures a variety of specialty surfaces for use in any area of your home, including kitchens, baths, home offices, and more. 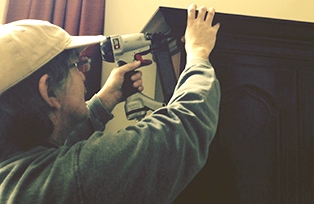 With every product manufactured in Atlanta, Georgia, Craft-Art has built a network of companies across the country that are qualified to provide you with on-site measurements and installation. 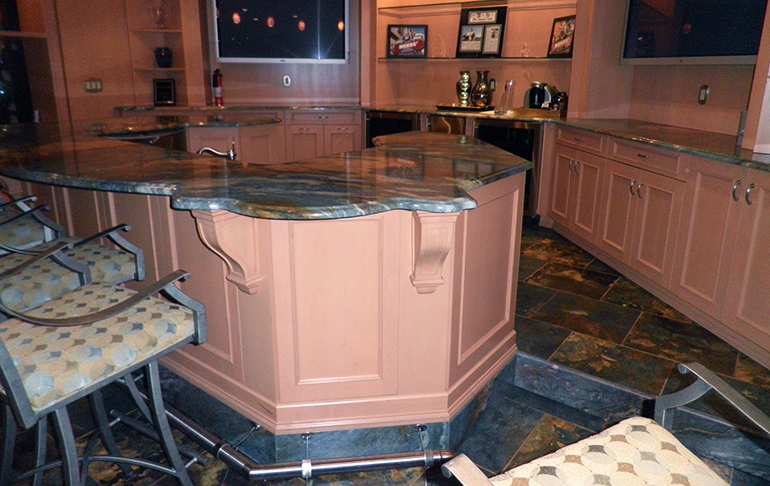 Craft-Art ensures you receive the highest level of technical support available for premium countertop surfaces. 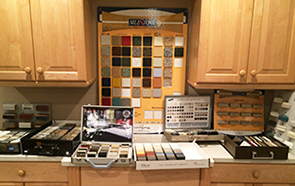 H&S Stone’s vivid palettes and durable surfaces make an ideal option for your new countertops. 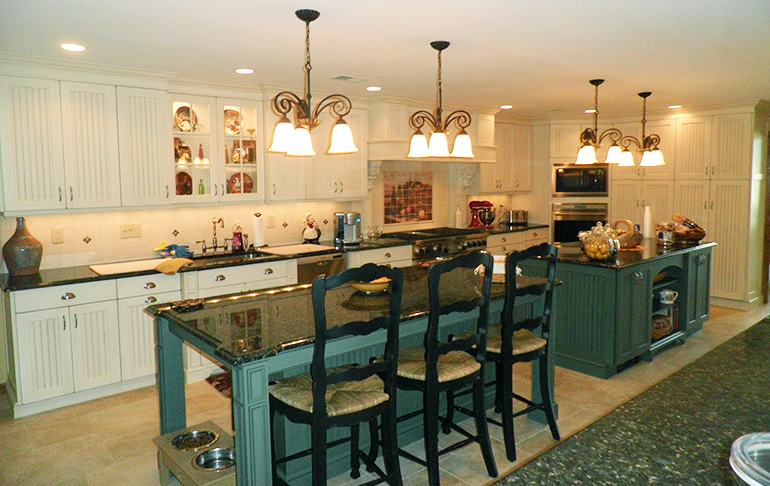 Their granite and marble offerings resist heat, scratches, and stains, while protecting against mold and mildew. H&S is a family-run business that prides itself on providing great service and educating customers on product features to ensure the perfect material is selected for your project. 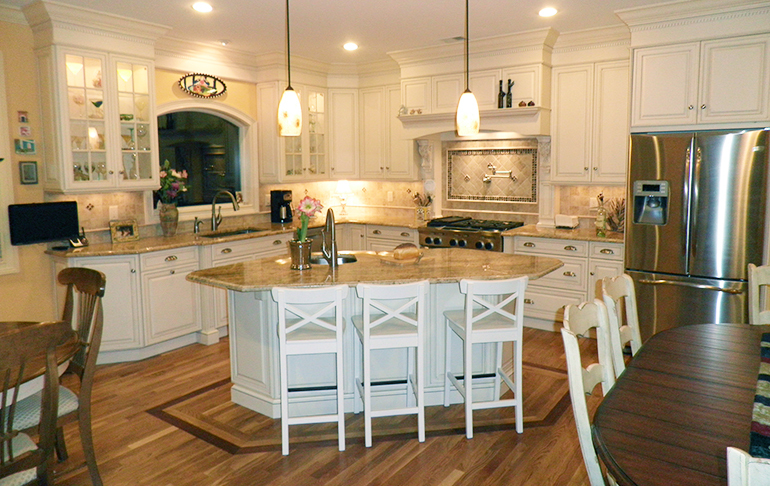 Rynone takes pride in being recognized as an industry-leading marble, granite, and laminate countertop manufacturer. 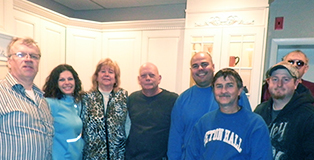 For over 70 years, Rynone has been family-owned and operated. Currently, the company’s operations include three state-of-the-art facilities housing more than 300,000 square feet of production capabilities, employing over 250 highly trained individuals dedicated to creating products that exceed your expectations. No matter your preference, Kitchens by Frank ensures that we create the perfect space with the right products to meet your needs. 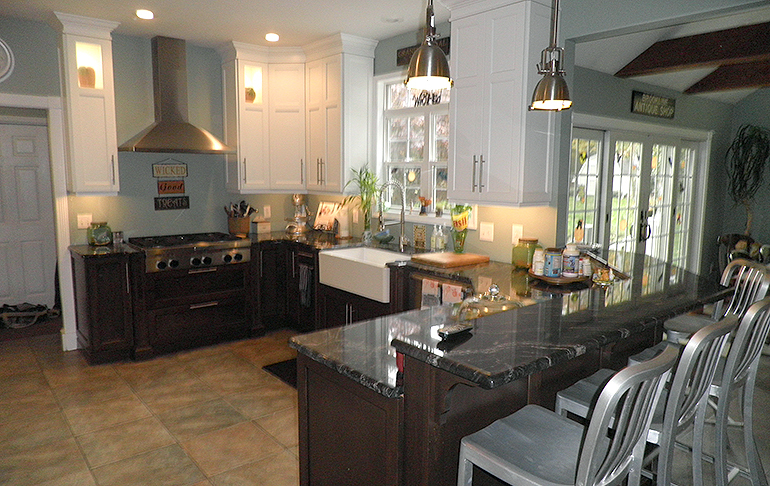 We provide options in solid surface countertops that include offerings from Corian, Silestone, Quartz Master, HanStone Quartz, Zodiaq, Caesarstone, Cambria, Meganite, laminate, soapstone, and more.